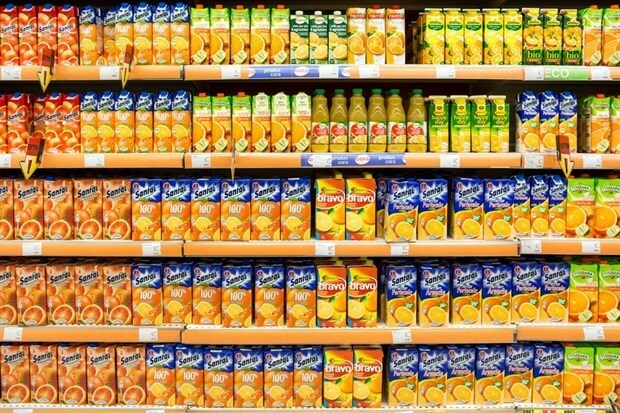 If 2018 was the year of limited-edition packaging and personalisation (think FIFA World Cup 2018), 2019 promises to be the year of retro designs and futuristic formulations as research and development (R&D) managers are under pressure to keep on top of brand and packaging trends to add value to their product lines and devour market share. This is according to Gail Macleod, who is the CEO of Stratcom Branding and founder member of the Global Local Branding Alliance (glba). While large-scale implementation in South Africa is yet to come, blockchain for packaging, AR and smart sensors are proving effective worldwide. Blockchain, a decentralised record of transactions spread out among many platforms for security purposes, has so many more applications beyond Bitcoin. One of the ways it can be used in packaging, is in the supply chain. Blockchain allows consumers to track products from field to table through scannable codes, improving trust and visibility. How does blockchain technology benefit supply chains? The supply chain is the vehicle by which value is delivered to customers efficiently and effectively and loss of trust can leave an indelible mark. Through blockchain technology, trust is hardwired into the supply chain through labour optimisation, tracking and increased accountability for resources. Brands can also save on manual labour and paperwork costs. While budgets in organisations everywhere are being cut, the good news is that almost one-quarter of CMOs (23%) now have fixed annual innovation budgets according to a recent Gartner survey. The challenge, however, is creating economically viable and profitable product lines as opposed to innovation for innovation’s sake which will lead to disillusionment and disinvestment. Approaching a local expert, with global capabilities to get to know the consumer and what he really needs, is an integral part of the process of gaining knowledge and accurately ideating against speed to market versus impact, that will speak directly to the customer’s needs and be technically feasible. ‘Omnichannel’ refers to a “multichannel form of brand delivery where all the parts of a brand jigsaw are not just complementary but have been considered holistically at the outset, so that they are connected and form a cohesive whole". It is the place where marketing for bricks-and-mortar and e-commerce experiences intersect and packaging still has a massive part to play to entice the traditional as well as the new digital customer. As brands scrambled to change their formulations and packaging sizes to comply with the sugar tax implemented in early 2018, consumers are consistently being wooed by “lite” brands. However, there is a gap in the market for beverages that speak to the informed consumer who is opposed to sugar and artificial sweeteners. 2018 ushered in a renewed and almost frenzied focus on plastic pollution thanks to, among other initiatives, the Volvo Ocean Race. Major retailers opted for recyclable plastic bags and many restaurants implemented the use of paper and reusable straws. •	Reducing the use of colours in beverage and home care bottles: Uncoloured plastic is more valuable in the recycling stream and so it’s more likely to be recycled. •	Replace unnecessary polluting items with more environmentally friendly solutions, i.e. straws, ear buds, plastic fast food containers and plastic cutlery. •	Collaborate with converters and others in the value chain to reduce the overall size of the product and resultant plastics used also known as light-weighting. An example is global leader in beverage alcohol, Diageo, whose goal is to reduce packaging weight 15% by 2020. They looked at their 1.75L bottles of Smirnoff and made a simple change – by removing the handle, they shaved 137g off their packaging. With 8.7 million bottles sold, the resulting savings in packaging material is the equivalent in weight to 7 Boeing 747 jets. •	Collect plastics before they get to the ocean: Companies such as Dell have pledged to use bio-plastic and other sustainable materials in 100% of their packaging.